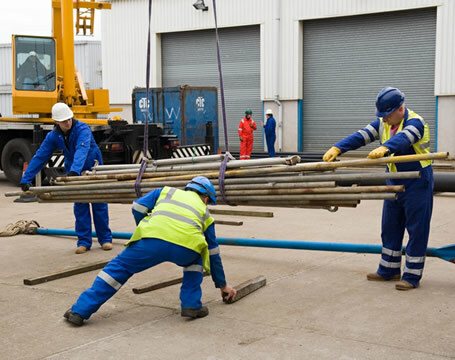 The aim and objective of the OPITO Stage 3 competence assessment is to establish that the candidate has the required underpinning knowledge, understanding and practical skills to fulfil the role of Banksman & Slinger safely and effectively. A valid Stage 1 OPITO Banksman & Slinging Operations certificate and a fully completed logbook. (stage2). Or a formal letter from the employer stating that the candidate has met the equivalent of the OPITO Stage 2 lifting experience logbook criteria as stated in Appendix 1 of the standard. This should be in the form of written testimony from their current employer (Note: contact details, e.g. telephone number, email etc should be included on the testimony). A valid in date Stage 3 Banksman slinger certificate. The practical assessment criteria is laid out in the approved standard and will be carried out in a realistic working environment. Candidates will be assessed against a set standard and will add value to the company with their standard of work. Candidates will benefit from the experience and expertise of our highly qualified instructors. The price is £275 +VAT Per Person plus £25 +VAT for the OPITO Certificate.